Hello! Do it work for Taskerr Theme?? Any issues? @casvar, yes it should be fine. 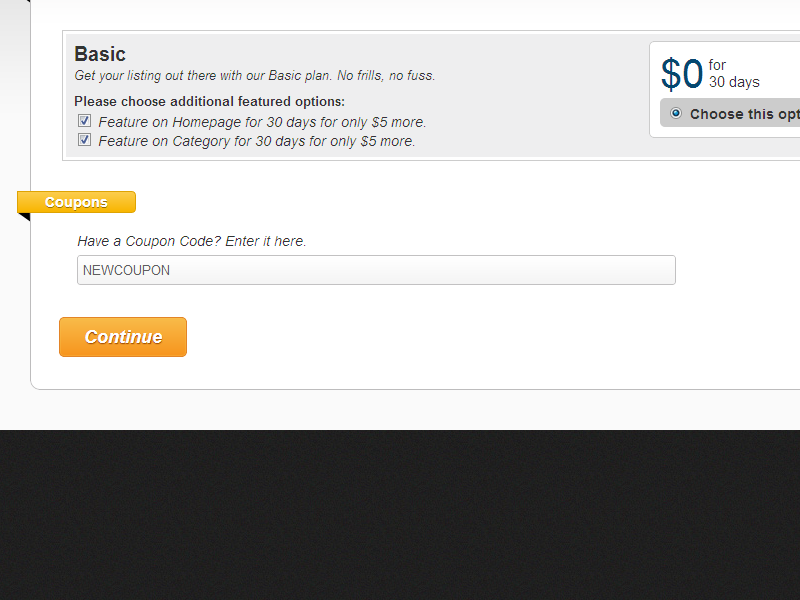 Hello, I just updated Taskerr 1.1 and has the AppThemeCoupon and still not appearing in the price tabs (plan seleccion). Im using it in spanish. Do I have to make any other changes? Other Apptheme plug ins are working fine. I looked in the forum and coundnt find something about this issue. @casvar, just following up on your earlier post. Please note that we provide all support for our products within the forums, so if you have not already done so, please do post here if you are still experiencing issues. Thanks. Does the user have to type the coupon code everytime they want to use it? For example, i have a coupon with a duration of one month. If the user uses the coupon on their first ad listing, do they have to type the coupon code again on their second ad listing; or is it automated? Would really be interesting to get coupons per category. I have a JobRoller site. 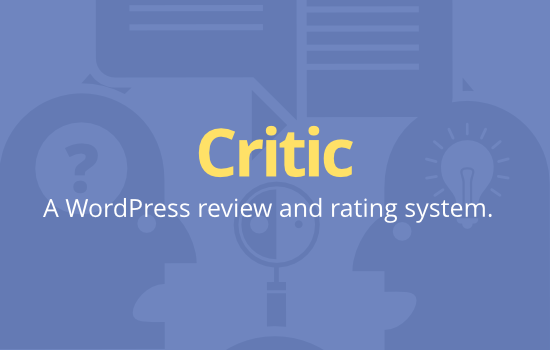 I wondered if your plugin would work for offering a 100% discount on a one-time basis to new job listers. If it does, what happens on check-out (using Paypal)? Would they still need to enter a credit card number for a $0 balance? I am considering this rather than setting up a special job pack for the purposes of tracking. 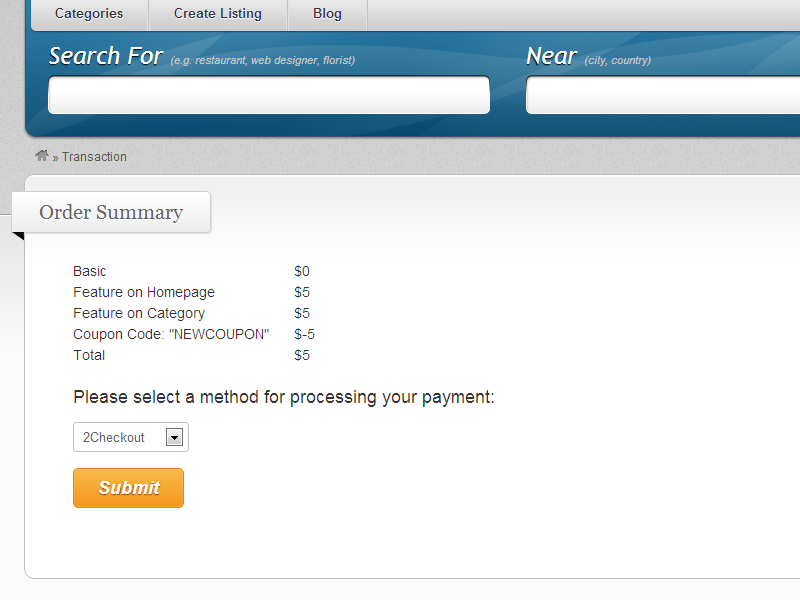 Will this plugin work with any payment gateway sold by AppThemes? I am using JobRoller with the standard Paypal gateway. I am considering moving to the Stripe gateway. I have the same question blue61em asked 6 weeks ago – and no reply. Is this plugin still active? Since the poster I referenced had more than 1 post – I was referring to the question asked if the plugin will allow 100%? Dear Neto, I tried it with %100 Discounted Coupon. the system doesn’t go to Paypal. Ads show completely free and users don’t need to enter credit card number. Thanks you Vdavoody – that helps.. my intent was to use the free – 100% coupon to get users to like my site on facebook. I am concerned that the developer did not reply and it does not look like they have been here since 10/14..
Hi, could this work with vantage but im using a child theme (BFINDER), is there a problem or not? Can we set a coupon to make the balance $0 so basically free with promo code? 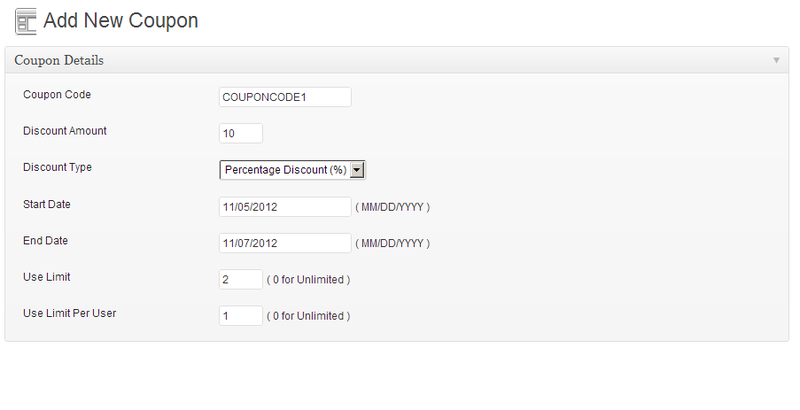 I have successfully done this by setting the discount amount to 100 and discount type to “percentage discount”. It works and users are not subject to the payment process with Paypal. So how does the user then finalize checkout with a balance of 0? The zero balance does not require the app to interact with paypal and the checkout shows a zero charge. You can create this for testing by adding a job pack to a user account – the user posts the ad, clicks finish and jobroller shows a $ 0.00 (Zero) balance. They don’t go through the rest of the check-out process and are not ported to Paypal. The job is when they click “continue” or “pay” on the next page. I don’t remember which. Hi, I am trying to post some top coupon classifieds ads that time i have trouble. this plugin works? My requirement is: i want to post some classifieds ads with using coupon codes (start date, end date, coupon code,) in classipress. this plugin works in my requirement. i am not providing to users. 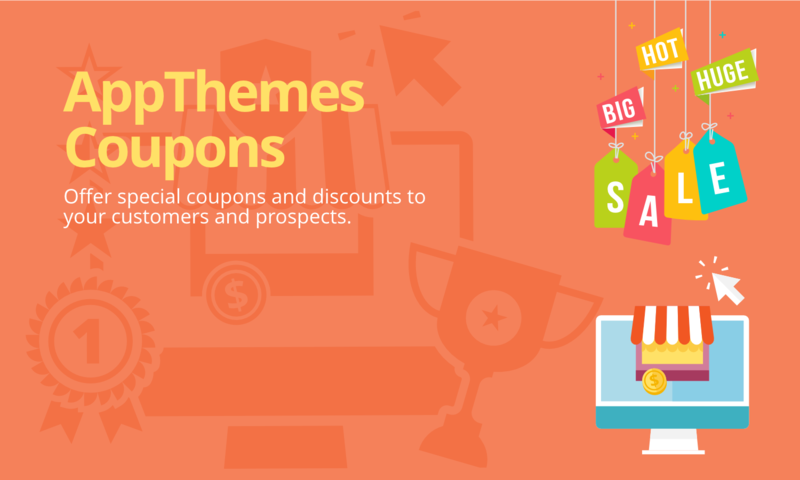 i want to post fronted “offers & coupons” ads for specific category based. I am going to be using “Invoices”. Will the coupon discount get deducted from the invoice? We are going to be using HireBee. Thank you. Can I use this to have a code to receive 50% off or discounted memberships for my site? I don’t charge to post, I just have two membership options. From time to time I’d like to have people sign up with a discount for their membership price. Hello is there any reporting options? I would need to know how many times each coupon is being used. 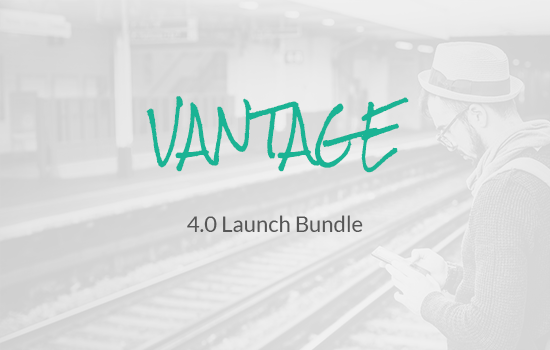 something working wrong with that plugin — especially with latest vantage (dev) – when choosing start date 09-17-2016 and end date 12-31-2016 – an error comes up – but it accept e.g. 18-11-2016 as end date !!! Plug in is not working correctly. Will not acept end date. I have tried many dates and no luck. Does not record the beginning date (red color saying something is wrong but no error message). 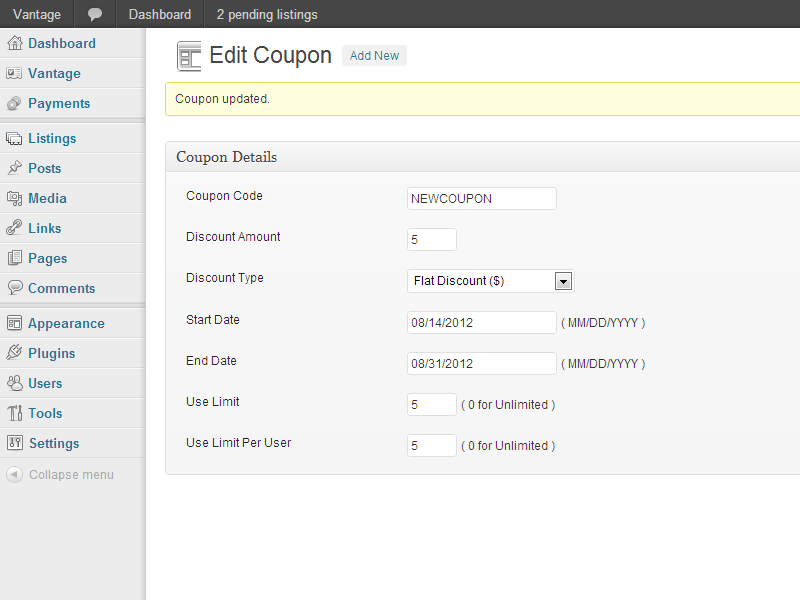 Then create a coupon in the coupon list with no info at all (no name, no discount, usage o/unlimited, never expiring). Same problem here. Not able to ad new coupons or update existing ones. Active coupons with valid dates not working either, price of listing will be shown without discount. I just updated my Coupons plugin, but get an error when I try to make a new coupon. The date picker turns red and I can’t activate the coupon. I am also using the ACF plugin, bet when I turn this off, the error stays. Hi there – Is it for the site owner to offer coupons for listings or the listing owners to offer coupons to their customers? Did this plugun work with Dealpress Theme ? 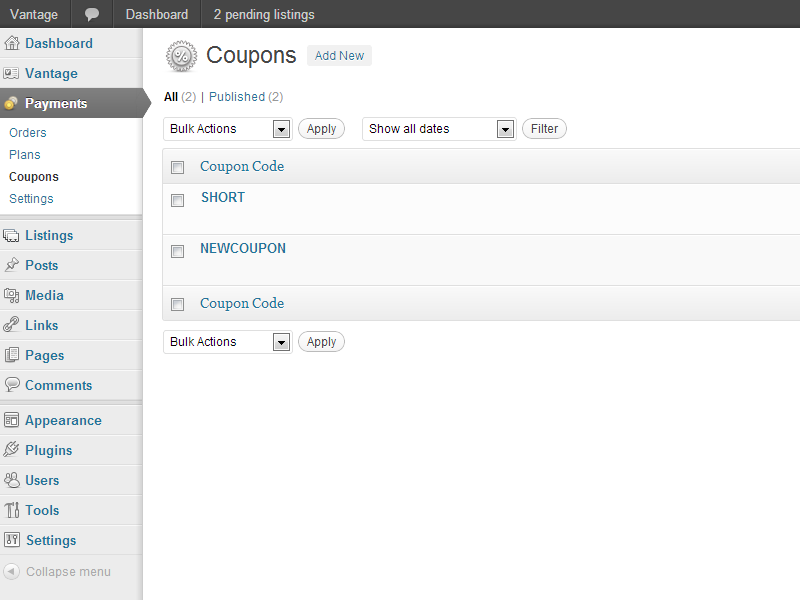 I buy your COUPONS plugin for CLASSIPRESS. However, it is making an error in choosing an initial and final validity data.